KO Propo EX-2 Select Packs « Big Squid RC – RC Car and Truck News, Reviews, Videos, and More! Recently announced by KO Propo are two Select Packs for the EX-2 transmitter. The first Select Pack includes options like a wheel drop down extension unit and LCD Xpansion Unit. 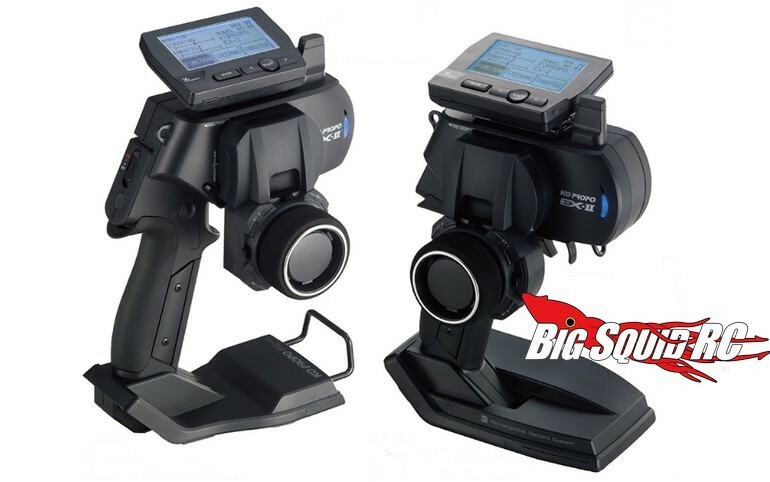 The second Select Pack also includes the wheel extension and LCD Xpansion Unit, but also adds the optional battery stand unit which allows the use of other rechargeable batteries. Want more details? Find them at This Link over on KO Propo’s official website. To get more KO Propo news on Big Squid, simply Click Here.